This is Faith in Play #6: True Religion, for May 2018. 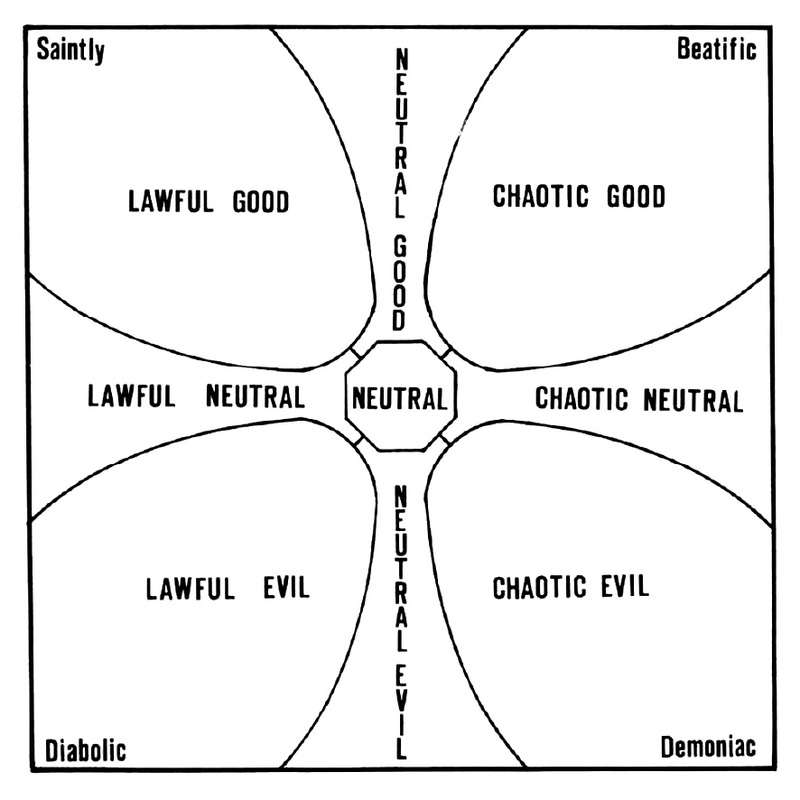 In the earliest versions of Dungeons & Dragons™, the original role playing game from which all others (including those electronic games that call themselves “RPGs”) are descended, there was a rules section known as alignment. Many players did not understand it; many gamers did not use it; it was often badly abused. However, I think it was one of the best and most important parts of the game, and I often defended and explained it. I am going to make the perhaps rather absurd claim that I am a recognized authority on the subject of alignment in original Advanced Dungeons & Dragons™. I know, that’s ridiculous. However, I am also going to prove it. When Gary Gygax was promoting his Lejendary Journeys role playing game, he placed on his web site exactly two links to pages related to Dungeons & Dragons™ One was to my Alignment Quiz, which had already been coded into an automated version by a Cal Tech computer student and translated into German. The other was my page on choosing character alignment in my Dungeons & Dragons™ character creation web site. He apparently believed I had a solid understanding of the issues.